Tens of thousands of Palestinians are protesting the opening of the new U.S. Embassy in Jerusalem, and Israeli army forces have killed 55 protesters, according to the Gaza Health Ministry. The ministry also says some 2,770 people have been hurt in demonstrations and clashes. 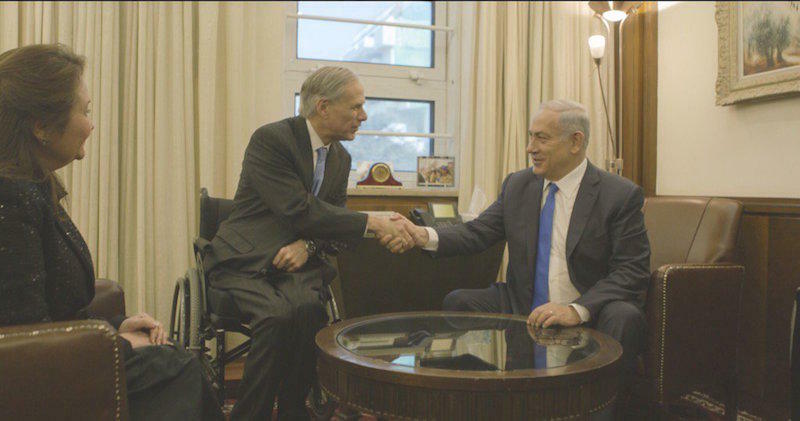 Israel has long been a focal point in international policy for Texas Republican lawmakers. Several current Texas officials have traveled to the country. Lt. Gov. Dan Patrick even got baptized in the Jordan River. 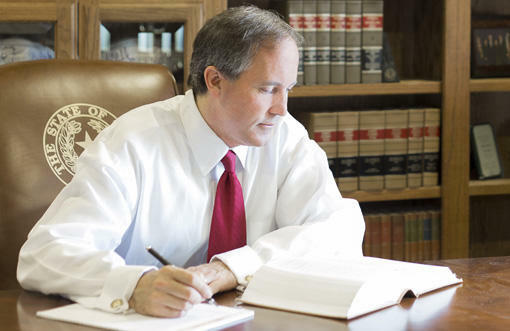 But Peggy Fikac, Austin bureau chief for the San Antonio Express News, reports that some aspects of these trips have come with hefty price tags for the state’s taxpayers. 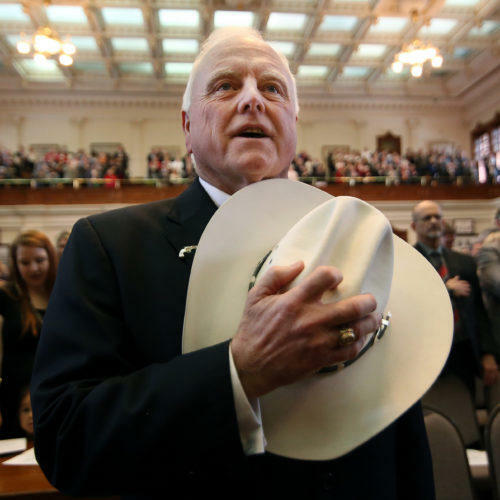 Texas Agriculture Commissioner Sid Miller announced a trade agreement Wednesday between the state and a group of settlers on the West Bank of Israel. Neither the U.S. government nor the United Nations recognizes the settlements. President Trump is hosting Israeli Prime Minister Benjamin Netanyahu at the White House. The two are holding a joint press conference amid differing messages emanating from the Trump administration about its stance on the two-state solution for the Israeli-Palestinian peace process. Gov. Greg Abbott is on his third official international trip since being sworn in last January. Yesterday in Jerusalem, the Governor met with Israeli Prime Minister Benjamin Netanyahu. Last week Abbott said the purpose of the upcoming meeting was to promote business ties abroad. However, since news broke over the weekend of the U.S. prisoner swap and an end to sanctions against Iran, Monday's meeting seemed more like a political trip. That’s left some scratching their heads, and others nodding in approval. Recent world events seem so complicated – and perhaps intractable – that some citizens may reel from a sense of hopelessness. But maybe our collective memory fails us – it’s easy to forget how much the world can change in just a matter of days. In less than two weeks in 1978, a world-changing event not only ended one of the most bitter conflict in modern history (or at least a part of it), with effects that endure to this day. Pulitzer Prize-winning journalist Lawrence Wright speaks with Texas Standard’s David Brown about his new book, "Thirteen Days in September: Carter, Begin and Sadat at Camp David," a detailed account of the Camp David accords between Egyptian President Anwar El Sadat and Israeli Prime Minister Menachem Begin. 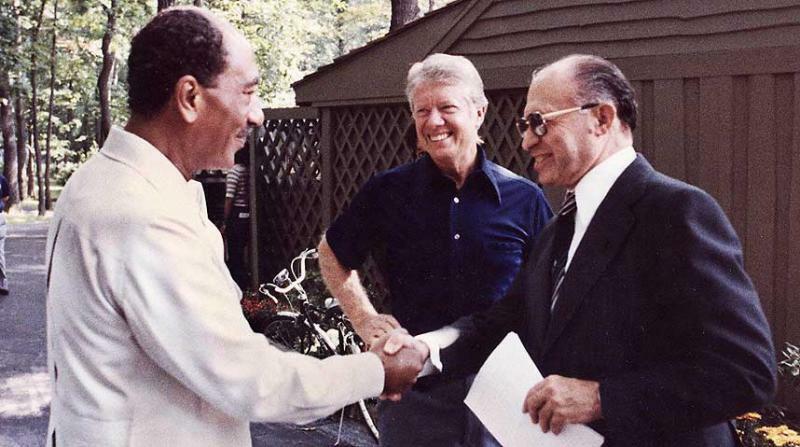 Facilitated by U.S. President Jimmy Carter, the agreement brought peace between Egypt and Israel. In Perspective: Is the Israeli-Palestinian Cease-Fire a Calm Before Another Storm? This summer’s escalation of the Israeli-Palestinian conflict has come to a relative stand-still with both sides currently holding to the cease-fire signed late last month. But many say the conflict is far from resolution. 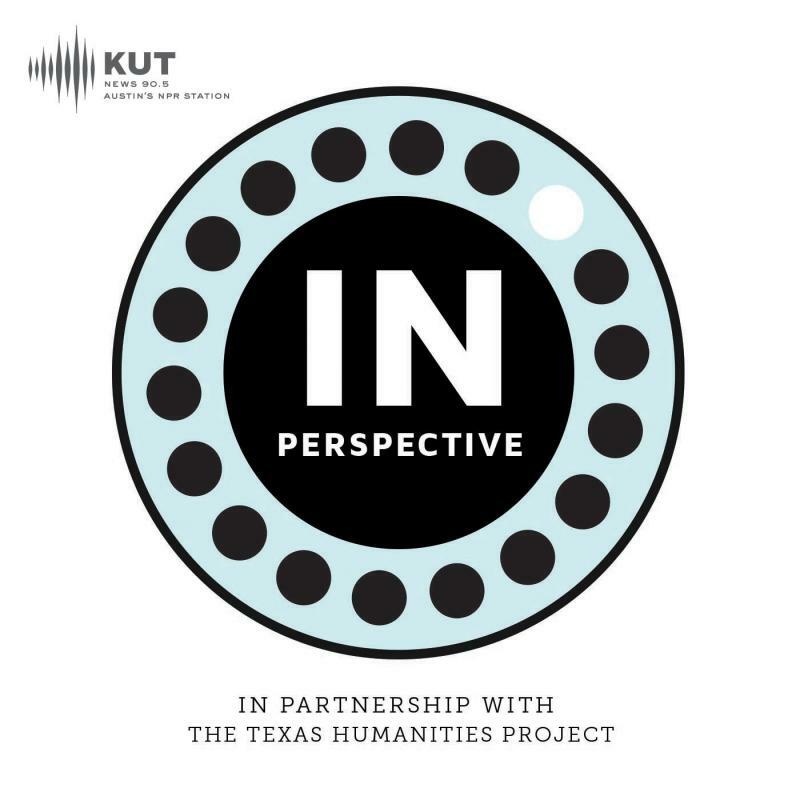 In its inaugural episode, “In Perspective” invites subject matter experts from UT-Austin, New York University, and Rice University to discuss the conflict, its future and its impact on Israeli and Palestinian cultures with KUT’s Rebecca McInroy. 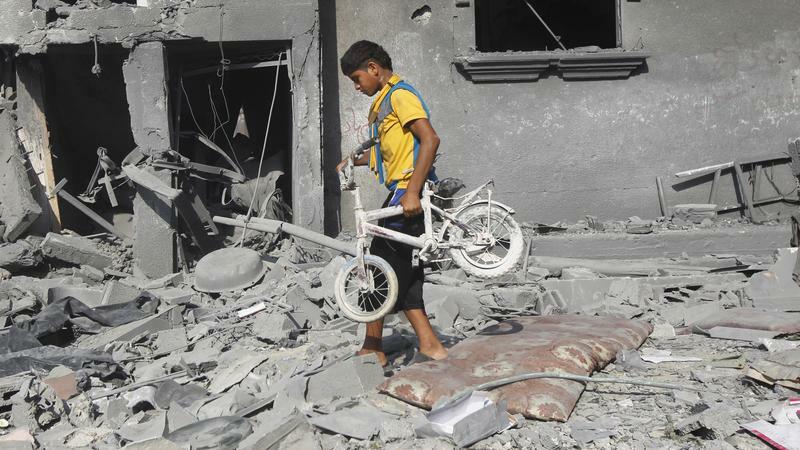 After nearly a month of brutal war, Gaza was calm for a second day on Wednesday. And as that negotiated, three-day peace took hold, diplomacy stepped front and center. In an interview with the BBC, U.S. Secretary of State John Kerry said both sides should take advantage of this moment to forge a longer-lasting peace. Kerry said the U.S. supports Palestinians' desire to rebuild and open up borders, but that will happen only under a "bigger, broader approach to the underlying solution of two states." 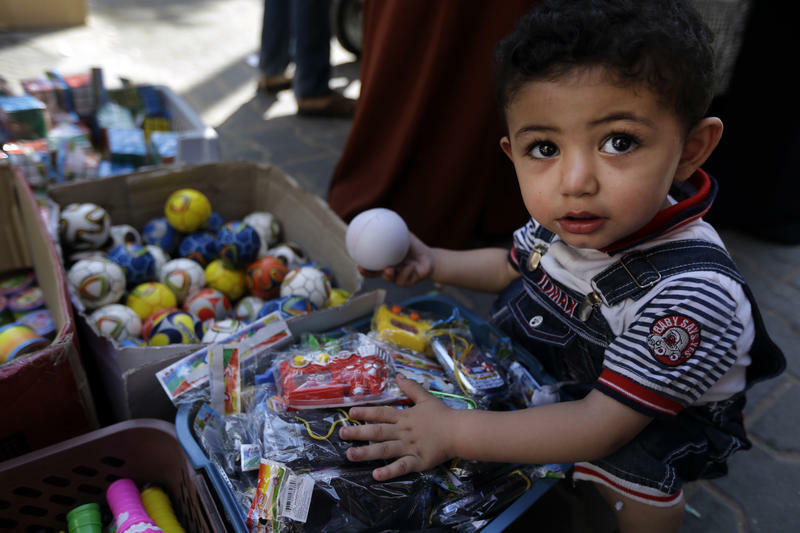 After nearly a month of fighting, a negotiated, three-day peace has taken hold in Gaza. As NPR's Emily Harris reports, Israel has also ordered all of its troops out of Gaza. But this may not mean the end of the current conflict, because the Israel Defense Forces said its troops would maintain a defensive position and respond to any attacks. Case in point: By morning just before the truce started, Emily said she heard rocket fire out of Gaza. 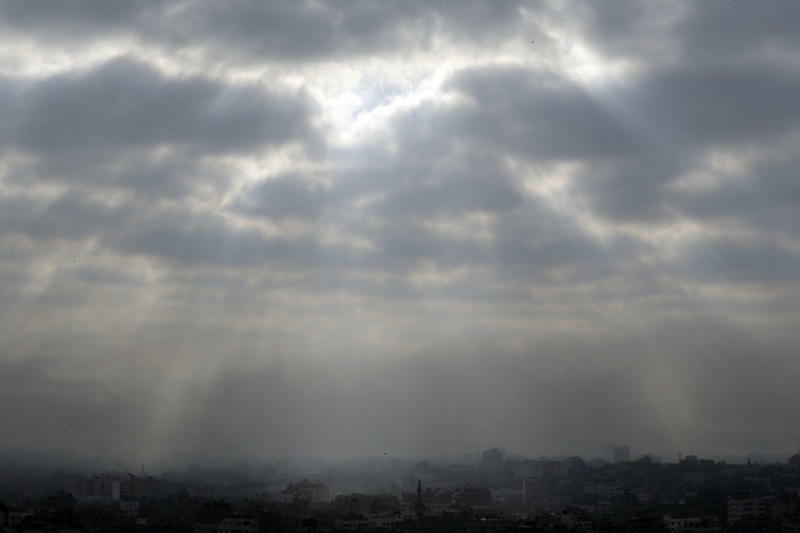 But things have calmed down and the AP reports that in Gaza "traffic picked up and shops started opening doors." There are some signs that the current conflict in Gaza is de-escalating: As the Israeli newspaper Haaretz reports, the Israel Defense Forces have started pulling their troops out of Gaza and "stationing the remaining soldiers on hills on the Palestinian side of the border with Israel." An Israeli airstrike outside a U.N.-run school in Gaza killed at least 10 people Sunday, Palestinian health officials say. The attack came as Israel declares that a soldier believed to have been captured had actually died in battle. 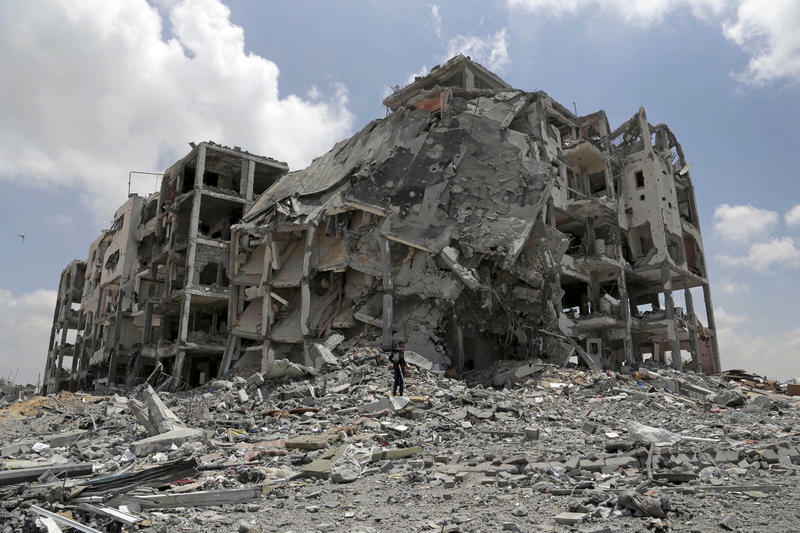 A day after they were to begin a cease-fire, Israel and Hamas are still firing at one another, in a conflict that has killed at least 1,650 Gazans, 63 Israeli soldiers and 3 Israeli civilians, according to tallies from the respective sides. Those numbers surpass the estimated fatalities from the last major Gaza conflict, which raged for around three weeks from 2008-2009. It was negotiated as a three-day humanitarian cease-fire that was to start at 8 a.m. local time today. But just hours in, fighting erupted again in Gaza. Palestinian authorities told The Associated Press that at least 27 people were killed in Gaza after an Israeli tank opened fire. 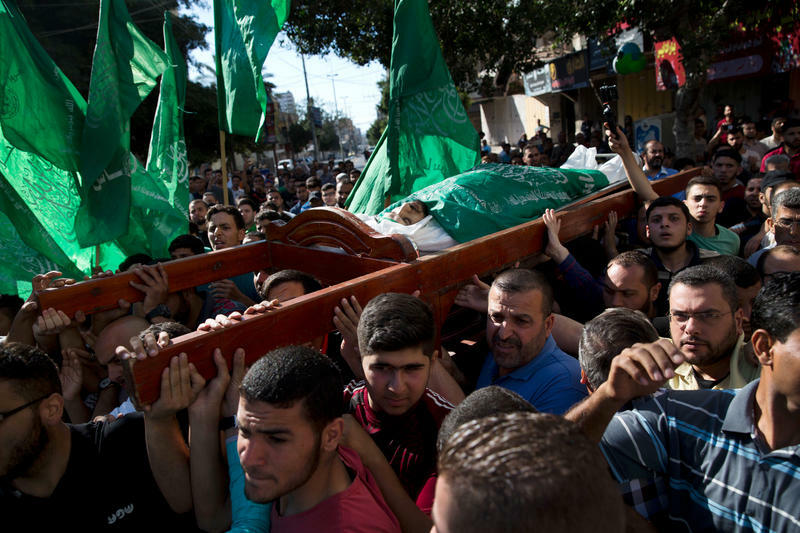 NPR's Emily Harris reports that Israel accused Hamas of continuing its rocket fire. Updated at 5:20 p.m. ET. The Pentagon has confirmed that Israel was given permission last week to dip into a little-known U.S. munitions stockpile to draw tank shells and illumination rounds for its ongoing offensive in the Gaza Strip. NPR's Tom Bowman reports that the billion-dollar U.S. "emergency" stockpile, based on Israeli soil, was established in the 1980s as part of an agreement of expanded cooperation between the two nations. Perhaps signaling a widening of its offensive in Gaza, Israel called up 16,000 reservists on Thursday. That means Israel has activated 86,000 reservists since the conflict started. As many as 19 people were killed when a shell struck a United Nations-run school this morning in Gaza. In a message on Twitter, the commissioner-general of UNRWA, which is responsible for the welfare of Palestinian refugees, blamed the attack on the Israeli military. Israeli Prime Minister Benjamin Netanyahu on Monday dismissed international calls for an immediate cease-fire in the country's conflict with Hamas in Gaza. 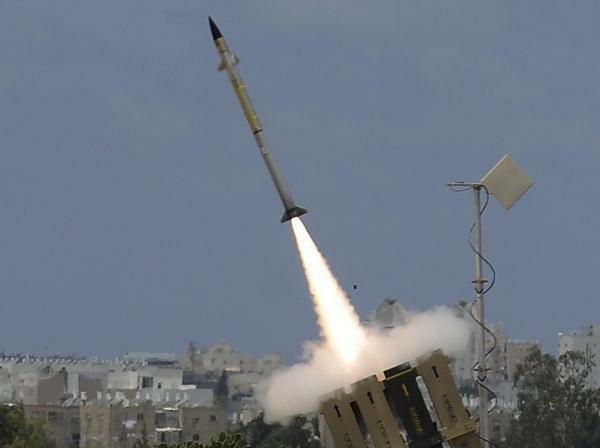 "We need to be prepared for a long operation until our mission is accomplished," Netanyahu said in televised remarks. He defined that mission the same way Israeli officials have since launching a ground offensive in Gaza: taking out the tunnels Hamas uses to infiltrate Israel. 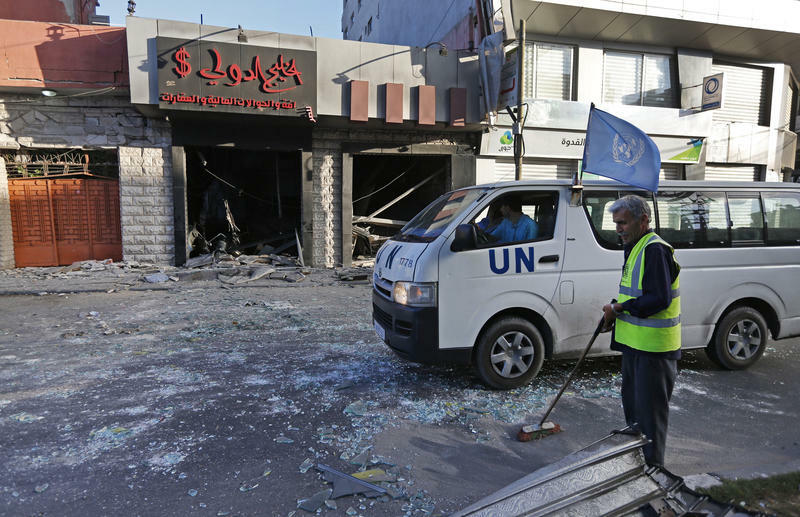 In a resolution overnight, the United Nations Security Council called for an "immediate and unconditional" cease-fire in Gaza. 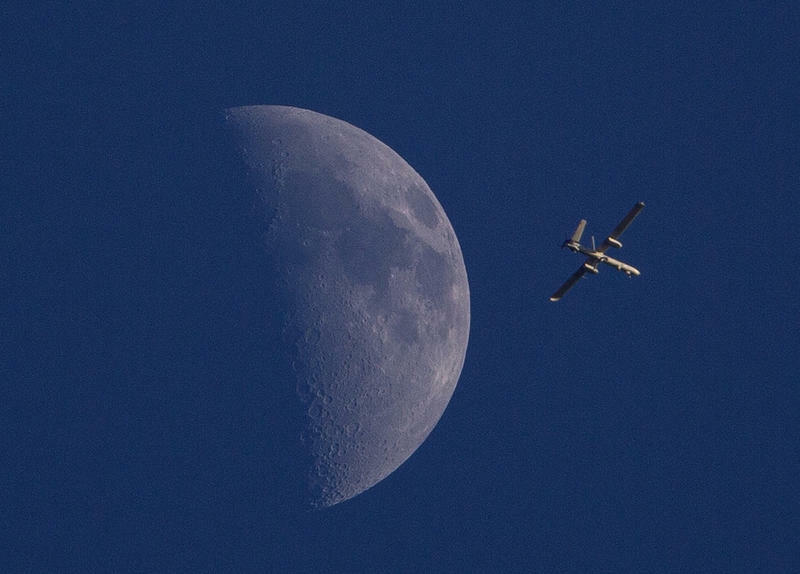 As USA Today reports, the Security Council called on both Israel and Hamas "to accept and fully implement the humanitarian cease-fire into the Eid period and beyond." U.S. Secretary of State John Kerry called reports that Israel's government had rejected a U.S. truce in Gaza "a mischievous leak" and said he's confident a deal can be reached. Referring to earlier reports by Israeli TV that a seven-day cease-fire had been unanimously rejected, Kerry, speaking at a news conference in Cairo, said Prime Minister Benjamin Netanyahu had assured him that the report is "an error and inaccurate. Updated at 5:35 p.m. ET. 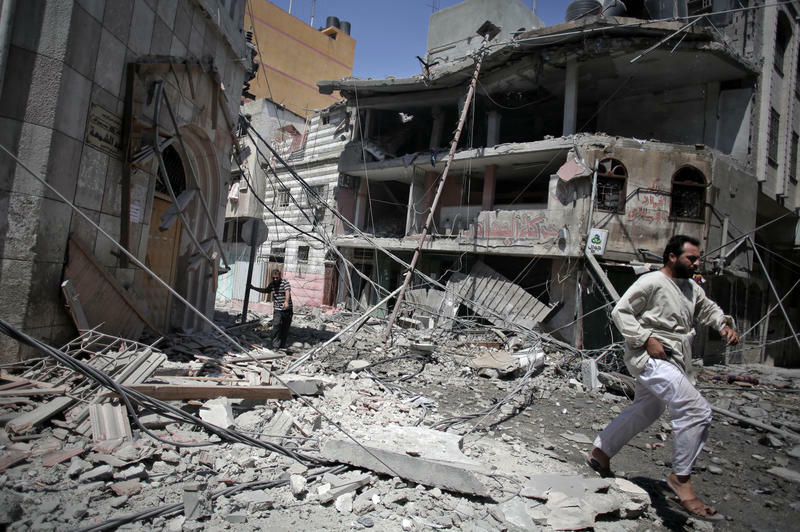 As the conflict between Israel and Gaza approaches the three-week mark, the fighting seems to have only intensified. 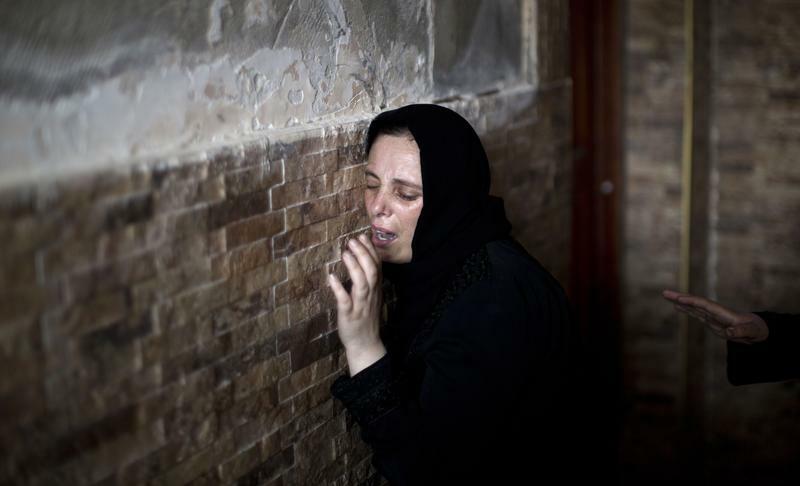 At least 119 Palestinians were killed Thursday, making it the bloodiest day of the war. As the conflict between Israel and Palestine in Gaza continues, officials with the University of Texas International Office say they've been in close contact with graduate students and faculty conducting research in Israel. 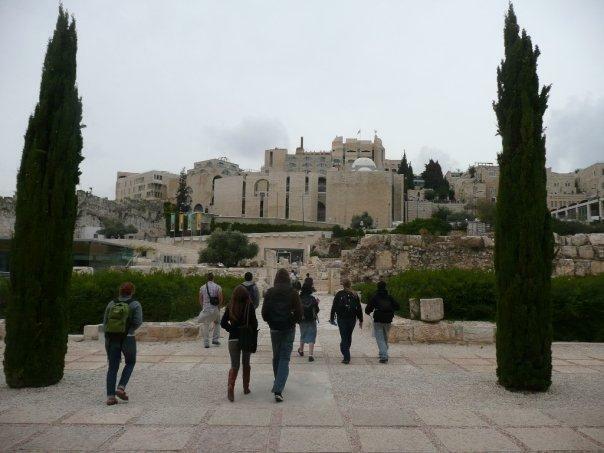 “None of our students are anywhere near the Gaza Strip or the West Bank,” UT International Office risk analyst Erin Wolf says. Wolf says six graduate students and a handful of faculty are doing research projects in Israel and that in addition to providing academic support, local universities are also giving them direction. A top White House adviser says any cease-fire agreement between Israel and Palestinians must include the demilitarization of Gaza. In an interview with NPR's Steve Inskeep, Deputy National Security Adviser Tony Blinken said "that needs to be the end result." "There has to be some way forward that does not involve Hamas having the ability to continue to rain down rockets on Israeli civilians," Blinken said. 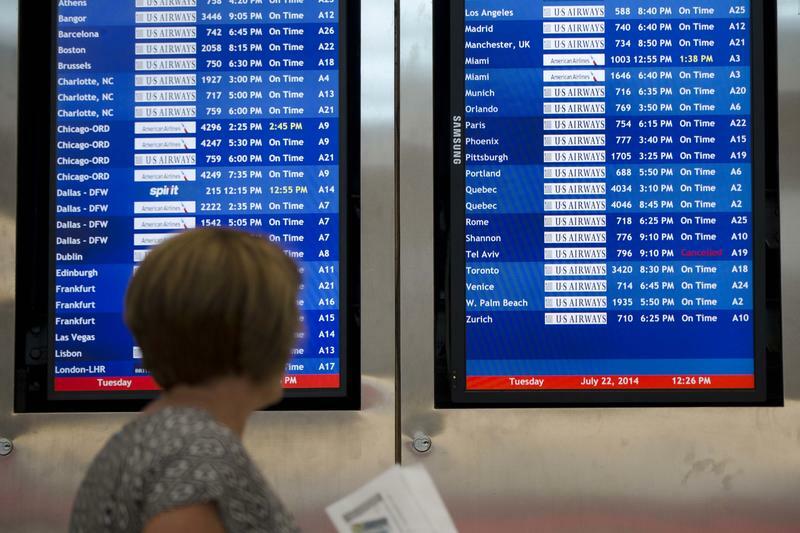 The Federal Aviation Administration has issued a 24-hour ban on flights to and from the Tel Aviv airport. "The notice was issued in response to a rocket strike which landed approximately one mile from Ben Gurion International Airport on the morning of July 22, 2014," the FAA said in a statement. 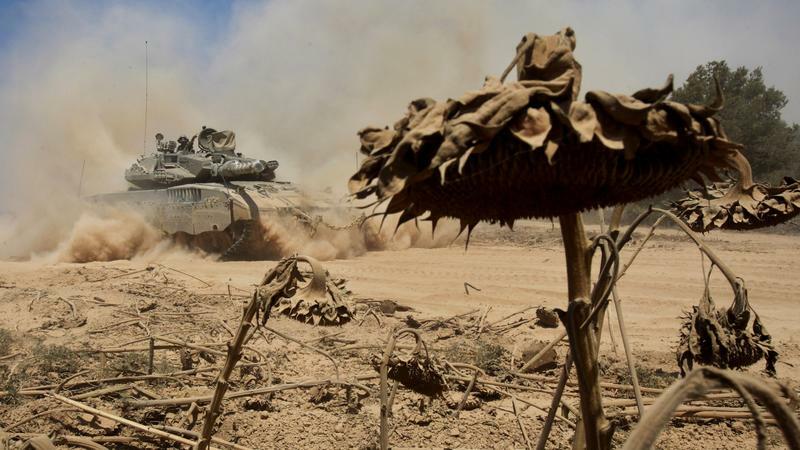 This past weekend was the deadliest of the two-week-long combat operations in the Gaza Strip. Yesterday, 95 Palestinians were killed in fighting along with 13 soldiers fighting in the Israeli Defense Force, according to the Associated Press. One of those soldiers killed in the conflict was 21-year-old South Padre, Texas native Sean Carmeli. Carmeli moved to Israel four years ago after finishing high school and was a member of the country's elite Golani Brigade along with California native Max Steinberg, who also died in fighting on the Gaza Strip. Both held American-Israeli citizenship. U.S. Secretary of State John Kerry is headed to Egypt today in an effort to broker a cease-fire between Israel and Hamas. In a statement, State Department spokeswoman Jen Psaki said Kerry would meet with Egyptian and other senior officials. Israeli Prime Minister Benjamin Netanyahu ordered the army to send ground forces into Gaza Thursday night. "We are hearing reports that so far the operation has been concentrated in the north," reports NPR's Emily Harris, who is in Gaza. Fawzi Barhoum, a spokesman for Hamas, called the invasion "a dangerous step. "The occupation will pay its price expensively, and Hamas is ready for confrontation," he said in a statement. Israel has sent ground forces into Gaza on Thursday, which we are covering in this post. Should American Universities Boycott their Israeli Counterparts? The passing of former Israeli Prime Minister Ariel Sharon has raised talk of his legacy, especially with respect to the long-standing Israeli-Palestinian conflict. Several groups of American scholars, including the American Studies Association, are calling for US universities to boycott their Israeli counterparts. The president of the University of Texas at Austin, William Powers, is hosting a conference of several key figures in higher education this week. 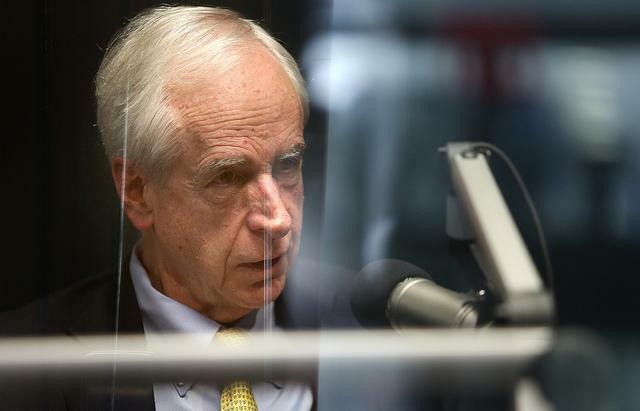 One such figure, Hunter Rawlings, President of the Association of American Universities, spoke with KUT's David Brown. There's an old joke that if Moses had turned right when he led Jewish tribes out of Egypt, Israel might be where Saudi Arabia is today — and be rich from oil. Consultant Amit Mor of Eco Energy says that joke is out of date. "Israel has more oil than Saudi Arabia," he claims. "And it's not a joke." But that oil will be difficult to reach, if it can be recovered at all. 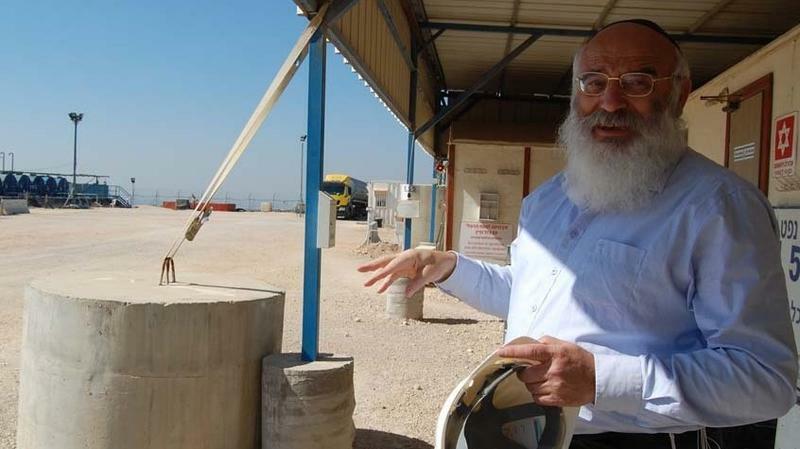 The oil he's talking about is not yet liquid but is trapped in rocks underground. 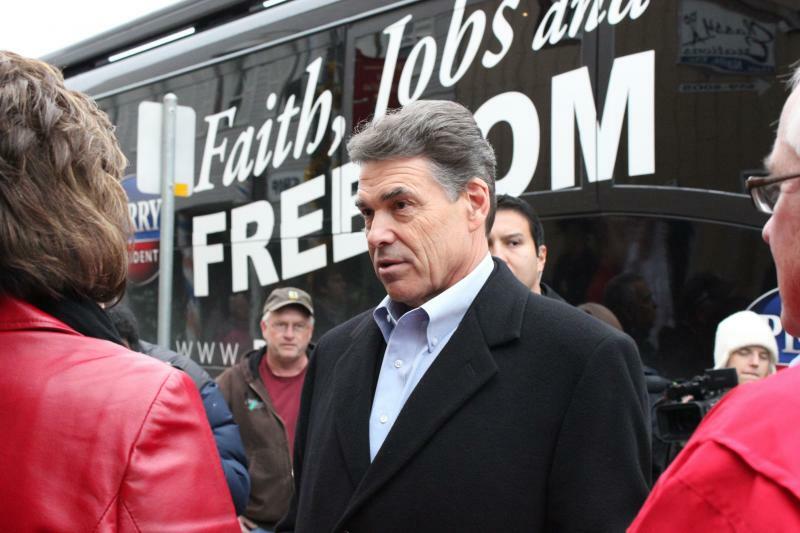 Texas Governor Rick Perry is nearing the end of a 10-day international economic opportunity tour with stops in London and Israel. Perry took the opportunity to highlight the opening of a Texas A & M University in Israel and looked to highlight Texas' financial successes, as well as recent resource and energy conservation solutions.